What's It Like Working With SignatureMD as a Physician? 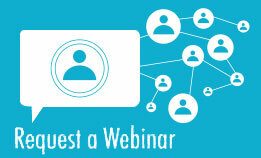 SignatureMD has evolved for me, and their service to me has evolved over time as well. At the time of my conversion, SignatureMD provided a large number of tangible and obvious services that were critical. This included the help with the conversion, setting up of the website, developing marketing materials for my office, presenting packets for patients who were interested in the program, helping me set up the events that were held where I gave my lectures to my patients, and so forth. Since I’ve gone live, their main function has been to be sure that money is collected on my behalf, that it’s being appropriately deposited into my account, and they’ve been great about that. Other than that, I think them staying out of my way, being there if I need them, is pretty much all I would want to ask for, and they do that. We hope that Joel’s experience helps provide some insight into what it’s like working with SignatureMD. We love working with physicians like him, who are passionate about providing medical care. If that describes you, we encourage you to contact us. If you would like to learn more about the conversion process with SignatureMD, you may be interested in finding out how much it costs to convert to a concierge medical practice. 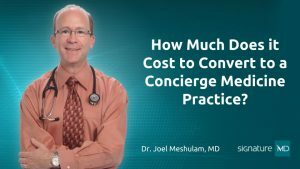 How Much Does it Cost to Convert to a Concierge Medical Practice?